With a stay at The Palm Hotel in Jamestown, you'll be a 3-minute walk from Gianelli Vineyards and 14 minutes by foot from Railtown 1897 State Historic Park. Featured amenities include luggage storage and coffee/tea in a common area. Free self parking is available onsite. Located in Sonora, Aladdin Inn is a 1-minute drive from Sierra Repertory Theater - East Sonora and 6 minutes from Stanislaus National Forest. Free self parking is available onsite. 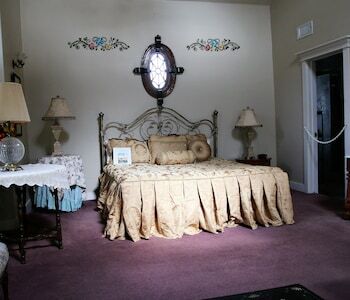 With a stay at Miner's Motel in Jamestown, you'll be within a 5-minute drive of Gianelli Vineyards and Mother Lode Fairgrounds. Free self parking is available onsite.